YouTube is the most popular video hosting, in the catalogs of which there are many videos of a wide variety of topics. Often, users have a natural desire to download a favorite video to their Android-smartphone or tablet, to review it later or show it to friends. However, without additional programs, this can not be done. Initially, YouTube does not provide such an opportunity, and to download the needed video you have to go to the trick. We studied the possibilities of a number of programs that allow you to download videos from this service and highlighted the best ones. Before to start, let’s consider the question of selecting the saving format for the video from youtube to the phone. You can choose from several storage formats for your phone or another mobile device (for example, a tablet). As a rule, this is FLV and, if lucky, MP4, these formats are available for most Android devices. On the quality, MP4 is much inferior to the format of FLV, but in size takes proportionally less space. If the speed of the downloading is more important than the quality, then download the file in the worst quality. Much depends on the subject of the video: if you do not care about small details, you can sacrifice quality. If it’s a video clip, then choose MP4 because the sound quality in FLV will be a bit worse. In addition to these formats, you can also choose 3GP or WebM. Once you have decided, click on the link or select the option “Save link as …” in the context menu of the browser. Advice: Obviously, the video format depends on its quality and size. For example, if the duration of the video on youtube takes more than 1 hour, then you need to think about how to download from YouTube to Android – quickly or slowly, but in excellent quality? The size of the multimedia file can reach several gigabytes, so you may need a good download manager or a download program from youtube hosting. You will read about these programs below. Also, do not forget that your mobile device (on Android OS) does not always have enough free space to save large movies, so before you download the videos from YouTube to your Android device, check if there is enough space on the phone. After downloading the video from the server of the social service, you should go to the folder specified when saving. From now on, you can open it in any video viewer on your computer. You may have noticed that browser extension for downloading videos from YouTube can be found in official stores of almost every browser, but not in Google Chrome. All because YouTube belongs to Google, and downloading the video is prohibited by user agreement. Extensions with similar functionality are removed from the store, and the same is true for Android apps on Google Play. It turns out that for downloading videos from YouTube it is preferable to look for applications on the side. This is dangerous, and therefore carefully look at the address of the site from which you want to take the apk-file. 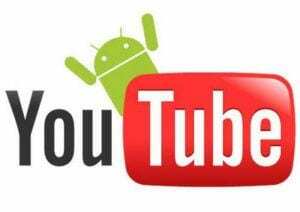 We have collected some verified applications that allow you to download YouTube videos to Android smartphones and tablets and will not harm your data and devices. These are the official pages of the projects. Select and download any of the applications, but only from the official pages of the projects. YouTube Downloader is an application from the name of which it becomes clear that its main purpose is to download videos from the popular Youtube service. At the first startup, tooltips are displayed, explaining the mechanism of working with the program. Like all other similar programs, this tool allows you to choose the quality, as well as the format of the downloaded video. The application is a catalog of YouTube videos, where you can search for any video using search. But sometimes there is a problem that the program is not capable of issuing a link to download. In the catalog, various filters (by format, quality, 3D and others) are available, what makes surfing much more convenient and practical. In the settings, you can enable the option “Download videos only over Wi-Fi“, what allows you to significantly save traffic if the user does not have unlimited mobile Internet. Here, you can choose a folder in which the downloaded files will be stored. If necessary, you can turn on the display of the video upload date, if for some reason this is important for the user. YouTube Downloader is a small application that allows you to upload videos from the YouTube service, bypassing Google’s restrictions. YTD is a useful tool which will help you to download and watch videos from such a popular services as YouTube and the others like it. One more benefit of the YTD Video Downloader program is that it is able to play downloaded video files with the player built in it. Using this program is very easy. You just need to copy the URL of the page where the desired video clip is located from the browser and start the YouTube Downloader. The program will automatically insert the address in the corresponding field. You will only have to choose the desired quality of the downloaded file, specify the folder in which the video should be saved and click the big red Download button. After that, the Activity tab opens, where you can see the progress of the file download process. When the download is complete, just click the “Play” button and the video will be opened in your player. The Convert tab allows you to convert any video file to another format. This may be required if you want to play the movie on a player that has its own video format. In this case, you can configure some parameters of the output video, for example, change the resolution or remove the sound. The only drawback of this service is a small limitation of the version for free use, namely the automatic conversion of the video immediately after download. In a free version, these operations can be performed only sequentially. However, this does not interfere! The paid version also allows you to download multiple files simultaneously, but is this function needed? YTD program is a good example of a successful combination of free and paid versions of the program. The free version has everything that 90% of users need, and the remaining 10% purchase a paid version. Downloading videos from YouTube is not the most interesting activity. Hence, it should be the simplest and least lengthy. This is what it will be when using the Videoder application. Videoder s probably the most convenient application for downloading the video from YouTube, which we have ever used on the Android OS. The most important thing is that you do not need a computer for downloading – the download is made directly to the tablet or smartphone, where this software is installed. In addition, you will enjoy a set of functions. There is no such thing in any other downloader. With Videoder you can not just download the video, but also choose the format, as well as the quality of the video before downloading it. Moreover, the application can also be used as a video player for videos. After installation, run this application. Outwardly it completely copies the look of the youtube application, so everything is pretty intuitive. Write the name of the desired video into a line from the top, click on the Search icon and select the video we need from the list. After you are sure that you have chosen the right video – click on the Download button on the bottom right. Next, the application will ask us in what quality to download the video. By the way, for downloading movies in high resolution you need to install a special extension. The process is automated. Track the progress of downloading in the Downloads tab from the top center. By default, movies are downloaded to the phone’s internal memory, not to the SD card. They are saved in the folder “video_downloads“. That’s all, the saved video in mp4 format is read by absolutely all players for Android. By the way, you can open the downloaded video directly from Videoder, share it with your friends, reload it in a different quality, remove it from the list and memory, and view its detailed information. Yes, by the way, about the disadvantages of this application, there is only one minus here, namely – it’s advertising, which pops up before the downloading of the video, but because this application is absolutely free. After the briefing, we are on the home screen of the application. The interface and design of the program are similar to the mobile version of YouTube video hosting. Naturally, the application is decorated in a modern Material Design style. Right from the Watch Later main screen, you can go to the YouTube app (or to the site if the program is not installed). Or you can just insert a link to the video and go to the download of the video. After the download, it will be displayed on the main screen. Now go to the YouTube application and do everything according to the instructions: select the video and “share” it with Watch Later, and then the video download menu opens. We can choose the quality, or immediately start downloading the file. Tap on the Download button – the process starts. It is worth mentioning that we can download not only video but also audio in mp3 format. All downloaded files are in the Video and Audio folders, respectively. And as additional information, you are offered a preview of the video, title, duration and upload date. The developer of Watch Later has already taken care of their users by integrating a video player into the application. Thus, nothing is needed to run the application, only the Internet for downloading content. And all the necessary tools for working with video are already available. The program is very stylish, beautiful and looks like a mobile YouTube application. SnapTube is an application that replaces the official Youtube client on Android-devices. The program has unique features that distinguish it from other similar utilities. The tabs for video categories are well-developed here. At startup, the user is instantly sent to the search page, but if desired, you can go to the left to go directly to the categories. Another distinctive feature is the separation of content into Video and Music. If the first category includes all the videos, then when you click on the second, only music files are displayed, what is very convenient for music lovers. In addition, there is the possibility of downloading videos to the device’s memory. Clicking the appropriate button, the user receives information about the available formats and file sizes for downloading, and then selects the necessary parameters. You can also delete unnecessary downloaded files through the application. SnapTube is an excellent alternative to the standard Youtube-client with unique features and functions for those who do not like the official application. TubeMate is an application that combines an extremely simple and convenient interface with high quality and speed of operation. However, you will not find this program in the official market, because Google does not particularly favor such services. First, you need to download the apk-file directly to your tablet or smartphone, or download it to your computer, and then transfer it to the device in any convenient way. Open the folder with the saved installation file and select the required application. Read the information on access rights and start the installation of the program. Wait until the application is fully installed. After the installation is complete, click Finish. Examine the information about the new version, tick the option for fast installation and go to the settings. You can leave everything by default, the program is initially configured to work as efficiently as possible. If you want, make changes. Close the preset window. You can start to work with the application. In the window that appears, you need to select the appropriate format and click on the Download icon. If desired, you can even save only audio in MP3 format. That is, the program allows you to download to Android devices not only videos but also your favorite musical compositions. Note: When choosing the appropriate parameters, keep in mind that movies with the highest resolutions will not be played normally on older models of tablets and smartphones with low power. The size of such videos is also quite impressive. Over time, you can choose the most appropriate format for your device. You can use the built-in player to play the video. To do this, the main screen of the program should be moved to the left, and then you can select the desired media file. If you want, you can use your favorite and more familiar video player. Clip Converter is one of the most popular services that allows downloading videos from YouTube on your smartphone running Android. If you just need to download the video, simply insert the address of the corresponding page into the Media URL field. After analyzing the link, the service provides possible download options. Select the desired quality and click Download. However, in the event that you need not just upload a movie, but also convert it to another format, you need to select the needed tab and additional conversion options will open. After clicking the Start button, the conversion process is started, clearly illustrated by the progress bar. Upon completion, you will be immediately given a direct link to download the finished video. Thus, Clip Converter provides a convenient and free toolkit with the help of which you can quickly download and convert online video. It is useful to all users who need to solve similar problems and there is no desire to install and deal with a special software. 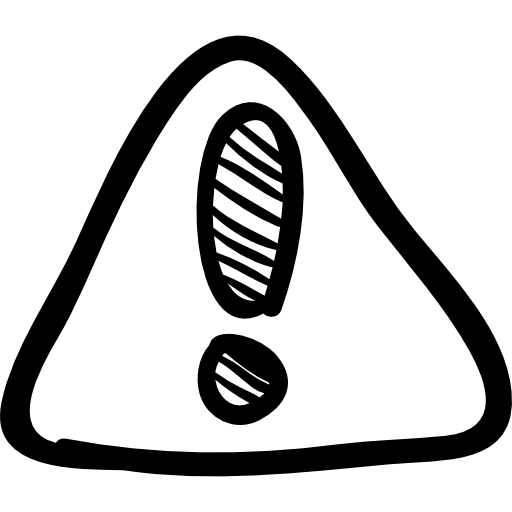 If after the above methods you did not receive a window with a preview, make sure that the link to the working video is current. Once you’ve checked the URL for functionality, go back. If you still can not download the video file, try to update the download page and repeat the steps in the instructions. If it doesn’t help, forget about your video or use an alternative site to download the video on youtube.com. If you still cannot download the video to your phone, in that case, make sure that your player supports this format. In any case, you also need to find out if all the necessary codecs for playing video from YouTube are installed. As an option, we advise you to download the VLC video player – it is friendly with popular formats that are played from your smartphone. Unfortunately, in this situation, you will not find a working instruction or an easy way how to download from YouTube online, because the YouTube service does not give rights to download files with limited rights through third-party services like Videoder. Downloading the video will be possible only after changing the access rights to this content. If you go somewhere where there is no Wi-Fi, and the mobile Internet is not fast or traffic is limited, but at the same time you want to watch an interesting video, you can simply upload it to your mobile device in advance. 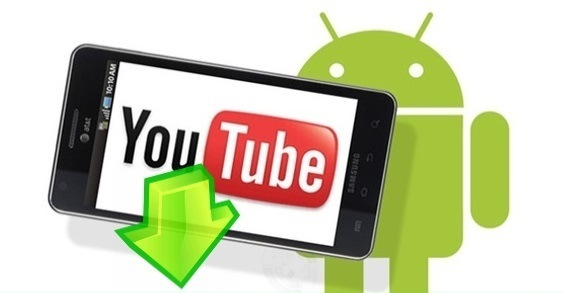 In this article, we have talked about the most popular ways to download videos from YouTube to Android. Now you know how to do it easily and fast!